Your Spiral Heat Exchanger Specialists. Gooch Thermal Systems, Inc. is the largest American manufacturer of spiral heat exchangers. 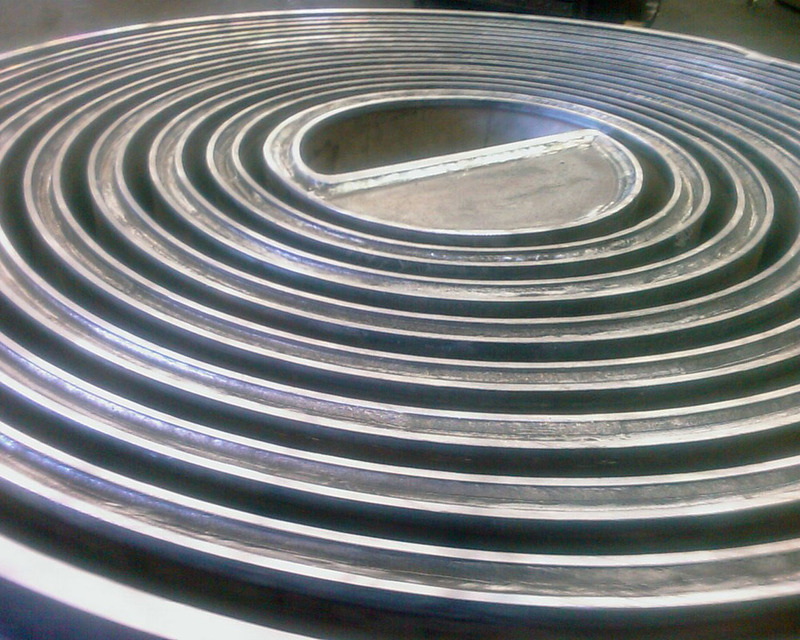 We custom-design spiral heat exchangers that are cost-effective, energy saving solutions to difficult heat transfer problems. 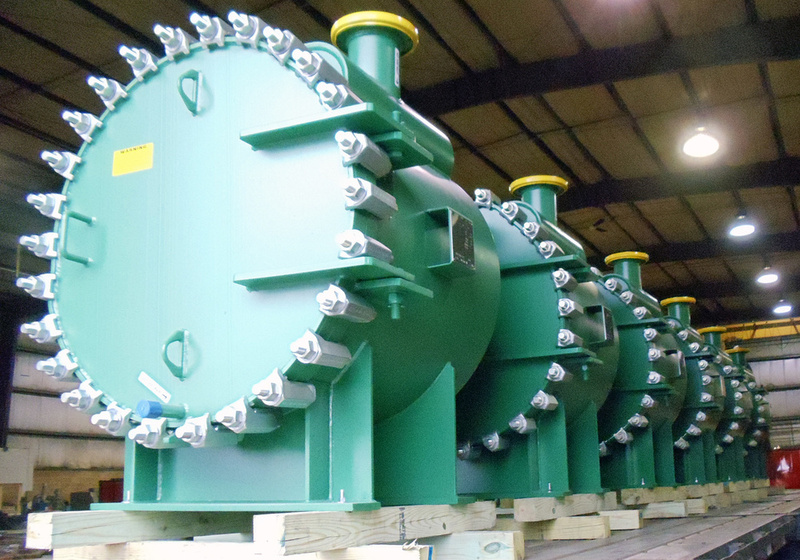 Spiral heat exchangers are ideal for fouling services that rapidly diminish thermal performance and require frequent downtime for cleaning in other types of heat exchangers. 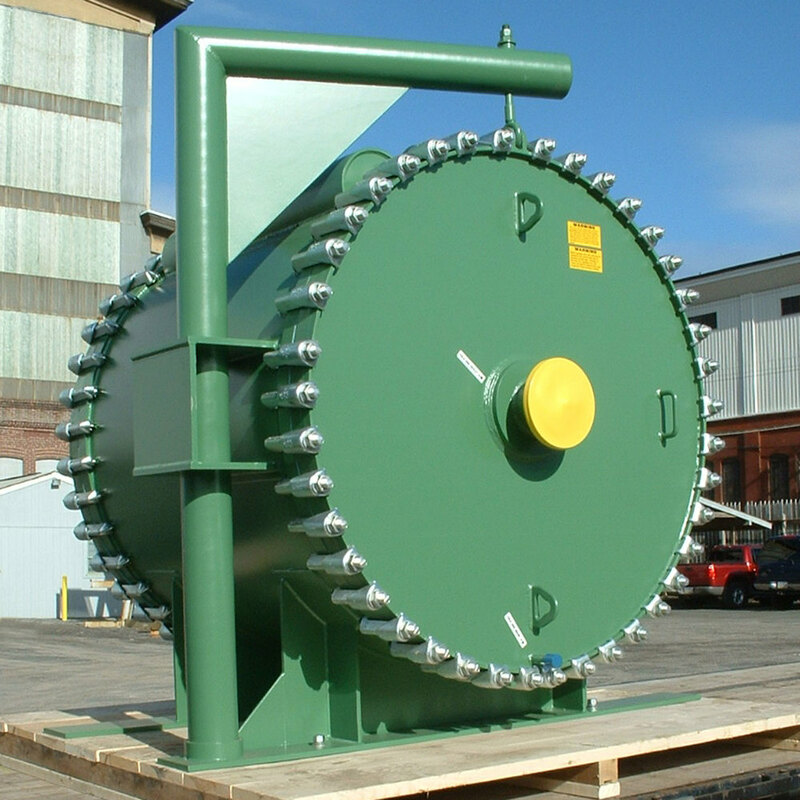 We supply spiral heat exchangers to industries worldwide ranging from chemical processing to petroleum refining to wastewater treatment. 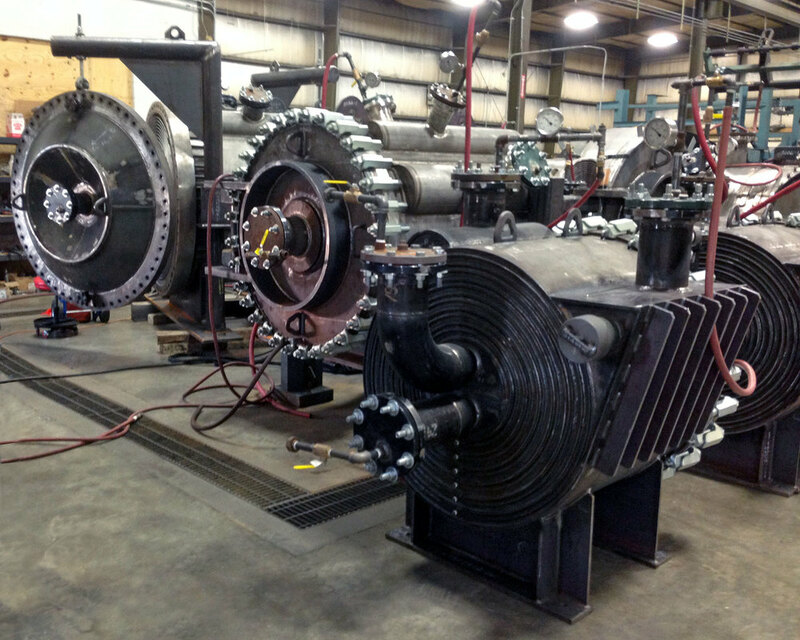 Gooch Thermal's core business is spiral heat exchangers. 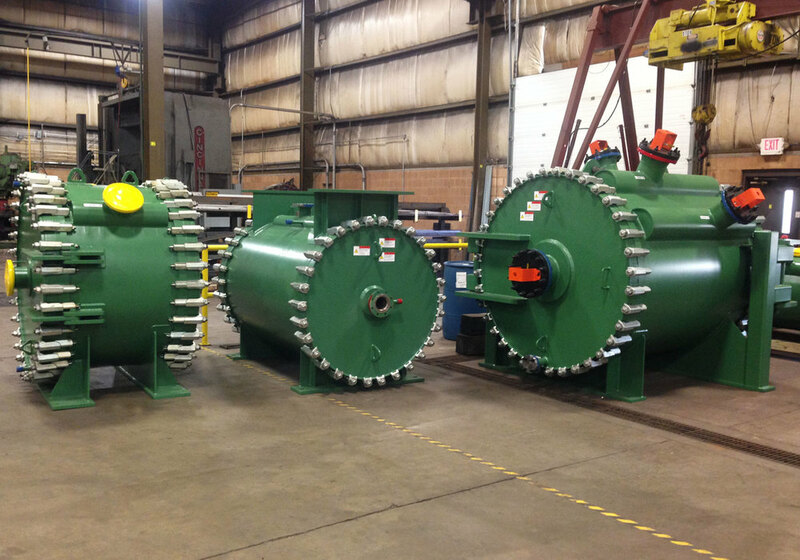 Our engineers have over 35 years of experience in spiral heat exchanger design, manufacturing, and application. This singular focus on a unique heat exchanger and our in-depth knowledge of heat transfer are the reasons behind our continued and growing success. The spiral heat exchanger is ideal for applications that often foul or plug heat exchangers with multiple parallel flow channels. 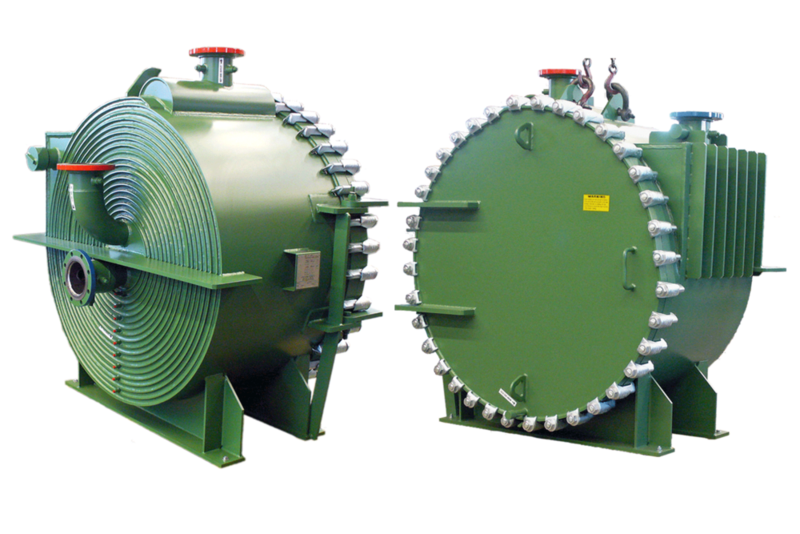 Learn more about spiral heat exchanger advantages over shell and tube or plate heat exchangers. Gooch Thermal spiral heat exchangers are made in the USA at our ASME certified manufacturing facility in Eastern Pennsylvania.